I joined Misty Mawn’s January Journaling Challenge. A page every day for 31 days. I agree with Barb. You can almost smell the roast and feel the warmth coming from the cup! Love the way you are doing your journal. The white marker tutorial was very helpful too. TFS! Wonderful page …mmm…now I think I need a cup! BLAH! the laundry. 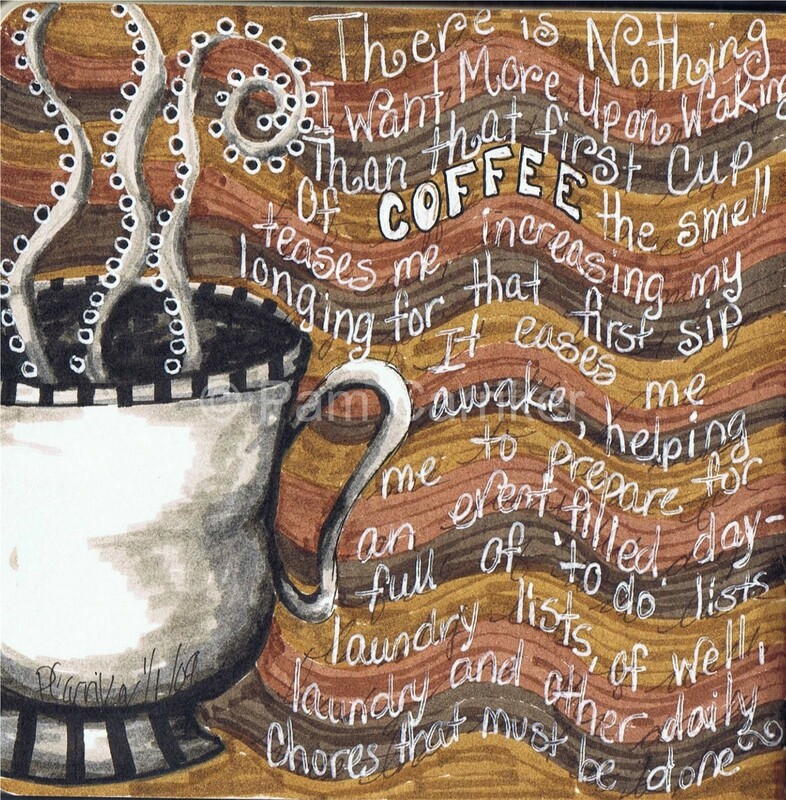 I like this Coffee journal page. Love the coffee cup too. Im starting on my Diary with Kitty Kellie ..Title is Attitude and its all about my Alter Ego FunkySiren. should be a wild one lol Have a great week Pam ..class opening soon yahoo!